Coming soon to an intolerant government near you. BTW, if anyone has access to the original video for this song then I’d love to see it! Closed my Kindle after a cup of tea in the canteen, next time I open it the Kindle is unresponsive, nothing! Plug in the usb power cable and still nothing, laptop doesn’t even recognise it. Not good. A quick search of the internet reveals lots of info about recharging the battery for 30 mins but my Kindle won’t connect via the usb. Then I see a little gem about holding the power button down for 20 seconds. Et Voila! Kindle Reset! A simply written and very readable book from Giles which I will give 5 stars to simply because it makes you think. On nearly every page you can feel a ‘yes, but…’ moment growing in your head which you often find the answer to later on. If you don’t then you know where to look and hopefully find the answer. This book makes some very good arguments for the simplicity of the ‘house church’ and the ministry of all believers. If you have issues with traditional religion or the ‘business model’ of some churches then this book will strike a chord with you. The inimitable Dr TL Osborn in a Youtube video entitled Jesus Alive In You. Excellent article on Dr TL Osborn at Charisma. My quote for the day! Words like progressive can reverse the rules of logic. That is, the longer historical evidence persists, the less reliable it becomes; the newer the conclusion, the less proven by history, the more ‘progressive’ and, presumably, more appealing it is. A good quote via Neil Addison at his Religion Law Blog. Free speech includes not only the inoffensive but the irritating, the contentious, the eccentric, the heretical, the unwelcome and the provocative provided it does not tend to provoke violence. Freedom only to speak inoffensively is not worth having. So said Lord Justice Sedley. Unfortunately there are people about who would like to shut down debate by means fair or foul on certain subjects. 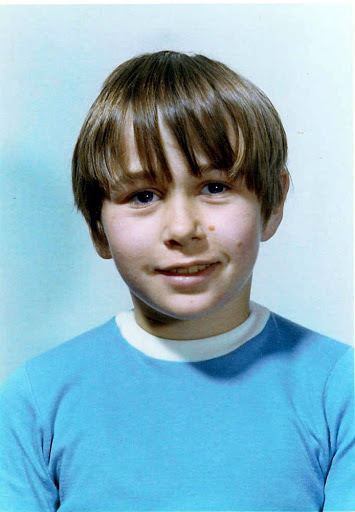 Seems an appropriate time for me to post this ancient pic of me when I were a lad. when he put the following image on his website. Archbishop Cranmer or @His_Grace on twitter is well known as a conservative Anglican and as such puts forward a robust defence of what he sees as the tenets of Christianity and the Church of England. As expected he occassionally posts on subjects around marriage, especially the concept of marriage as betwen one woman, one man, indivisible and for life. So it was not unexpected that His Grace might well put links to the Coalition for Marriage website on his own site. The Coalition for Marriage run a petition in support of this view and to date has over 500,000, that’s over half a million signatures. They also offer an easy way to communicate with the government via their Respond to Consultation service.